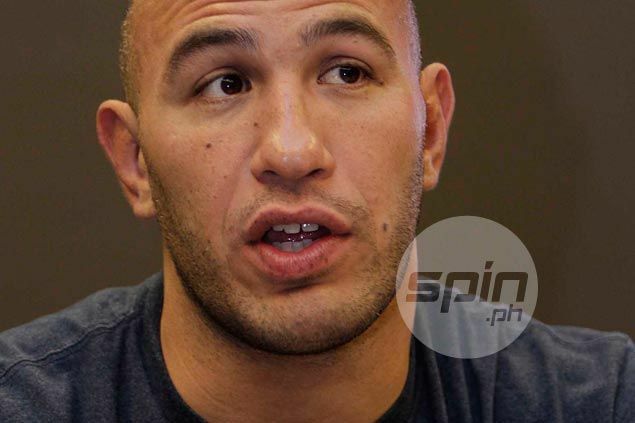 BRANDON Vera showed he is still in top form in scoring a quick win in his One FC debut, the culmination of months of hard work at training camp. But the preparation was actually anything but smooth as the former UFC title contender dealt with an emotional battle outside the gym. After keeping silent for more than two months, the 37-year-old Fil-American fighter revealed he is going through a divorce with wife Kerry, following a marriage of eight years. Vera didn’t go into detail about his divorce from his American wife, a former pro MMA fighter, and instead just welcomed the change in his life — outside and inside the cage — after signing with One FC in July. There are two changes inside the cage he’s enjoying. One is going back to the heavyweight division after fighting at light heavyweight in eight of his last nine fights in the Ultimate Fighting Championship. “I love being heavyweight. I love eating. The whole time I was here, I ate at almost every buffet,” he smiled. The former UFC rising star had felt sluggish as he struggled making the light heavyweight cut at 205 pounds in his those fights, which resulted in four losses, after he would start a certain camp weighing between 230 and 235 lbs. Another technical change Vera welcomed was getting the license to execute soccer kicks, a practice disallowed by western MMA outfits, which, however, allow elbows to the head. It’s the other way around in the Asian MMA scene, where soccer kicks are executed and elbows disallowed to avoid cuts. And that’s the move Vera used to finish off Subora after knocking his Ukrainian foe down with a left straight to the chin. For a while, though, he forgot the maneuver was allowed. “I’m thankful for the soccer kicks,” he added. “It changes the dynamics of the game. When you hit the ground, you can’t just hang out and let the guy come on top of you. He’s going to try to come around and kick you in the head. His next opponent should be ready.